The number of people killed or injured on Scottish roads fell in 2017, according to latest figures. The provisional data published by Transport Scotland shows that a total of 146 people were killed in reported road accidents in Scotland in 2017, 45 fewer than in 2016, equating to a 31% fall. The figures for road casualties reported to the police in Scotland in 2017 also show the total number of casualties fell by 14% between 2016 and 2017 from 10,905 to 9,391; the lowest number since records began. The number of people seriously injured decreased by 7% to 1,580. 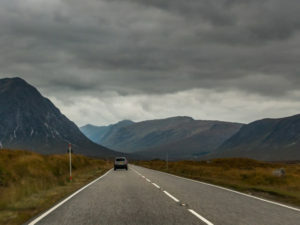 The figures show Scotland is making some progress with its road safety targets as set out in the Scottish Road Safety Framework, with fatalities down 50% on the 2004-2008 baseline (the 2020 target is a reduction of 40%). Serious injuries were down 39% on the baseline (the 2020 target is a reduction of 55%). Commenting on the figures, Joshua Harris, director of campaigns for Brake, said: “These figures show encouraging improvement in the safety of Scottish roads and this trend should hearten all road safety campaigners. Any reduction in casualties is to be welcomed, however, tragically 33 people are still killed or seriously injured on Scottish roads every week, so our work is far from done.